One of the best things about Christmas is indulging in lots of sweet and delicious treats! 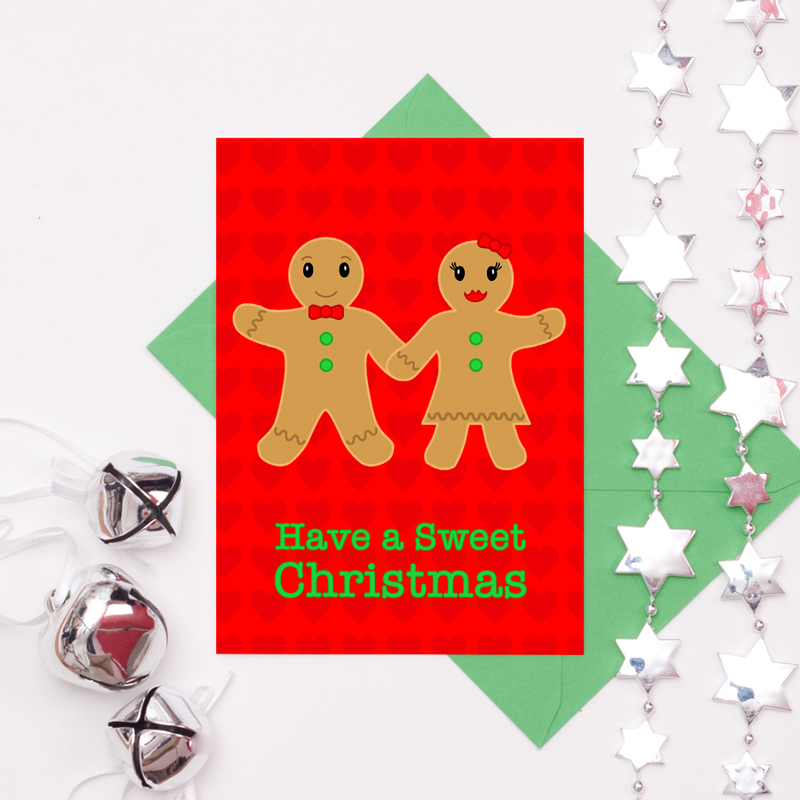 This gingerbread man and woman make a really cute and vibrant Christmas card, brilliant for all ages. The design features a cute gingerbread couple, holding hands, standing in front of a red heart patterned background. The text ‘Have a sweet Christmas’ is printed along the bottom. The card is available in A5 size and also A6 size and is blank inside for your own special message. Be the first to review “Sweet Christmas – Gingerbread Couple Christmas Card” Click here to cancel reply.